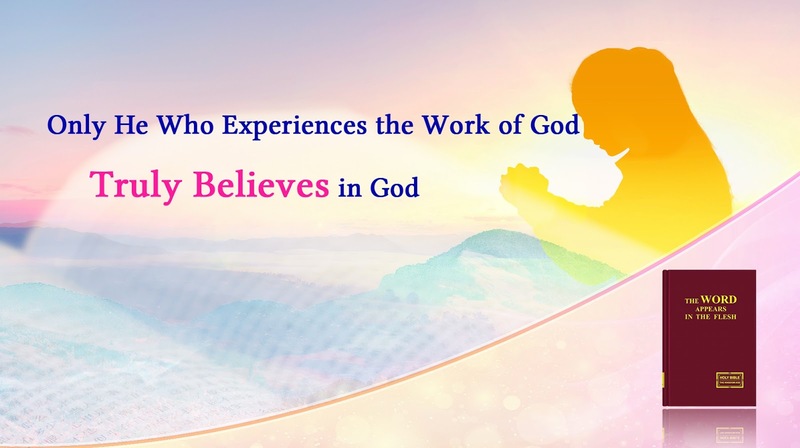 Home » Almighty God , Almighty God's word , the church of Almighty God , word » Almighty God's Word "Only He Who Experiences the Work of God Truly Believes in God"
Almighty God's Word "Only He Who Experiences the Work of God Truly Believes in God"
Almighty God says, "Though Jesus did much work among man, He only completed the redemption of all mankind and became man’s sin offering, and did not rid man of all his corrupt disposition. Fully saving man from the influence of Satan not only required Jesus to take on the sins of man as the sin offering, but also required God to do greater work to completely rid man of his disposition, which has been corrupted by Satan. And so, after man was forgiven his sins, God has returned to flesh to lead man into the new age, and begun the work of chastisement and judgment, and this work has brought man into a higher realm. All those who submit under His dominion shall enjoy higher truth and receive greater blessings. They shall truly live in the light, and shall gain the truth, the way, and the life."